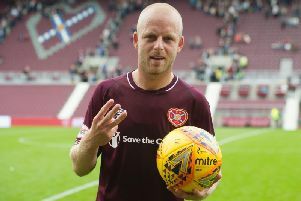 Hearts v St Johnstone: Naismith back, question in defence, Vanecek to drop out? 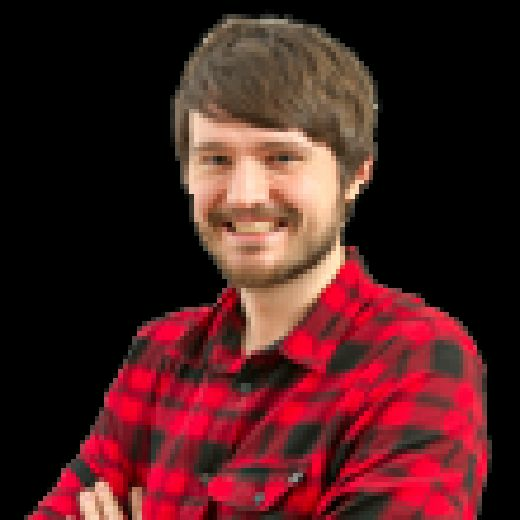 Hearts will look to bounce back from Wednesday night’s disappointing defeat to Dundee with victory over St Johnstone at Tynecastle. They should be buoyed by the return of Steven Naismith following his one-game suspension. As it’s been proved time and again this campaign, Hearts are a different side without their talismanic attacker. There are several big calls for manager Craig Levein to make ahead of this encounter. John Souttar returned from injury to play the final 33 minutes against Dundee and could start this one. Conor Shaughnessy’s poor performance should see a change at the back regardless, with Clevid Dikamona also in reserve. New signing David Vanecek came in for some stinging criticism from his manager in the wake of the 2-1 defeat in midweek and it would be a surprise if he kept his place. The Czech was hooked after just 34 minutes in an error-strewn performance. He’s since apologised to his manager for a lack of fitness. There could also be movement in midfield area too, with Levein promising to ring the changes. Tommy Wright’s men will travel to Edinburgh for the second time this campaign after tasting defeat back in late September. The McDiarmid Park side have won their last four games in all competitions and climbed a point ahead of their hosts in the league table following the win over Livingston in midweek. Hearts - John Souttar could return to the starting XI after making his return from a hip injury off the bench in the 2-1 defeat against Dundee. Uche Ikpeazu (foot) has resumed running after his broken foot but won’t be available for another week or so. Craig Wighton (ankle) and Peter Haring (hernia) remained sidelined. St Johnstone - Conor Mitchell (hip), Brian Easton (recovery), Drey Wright (knee). Hearts: Doyle; M Smith, Souttar, Berra, Garuccio; Clare, Bozanic, Cochrane, Djoum; MacLean, Naismith. Subs from: Zlamal, C Shaughnessy, Brandon, Mitchell, Dikamona, Hughes, Burns, Lee, McDonald, Mulraney, Vanecek, Keena. St Johnstone: Clark; Foster, J Shaughnessy, Kerr, Tanser; Wotherspoon, Callachan, Davidson, Craig; Kennedy; Watt. Subs from: Hurst, Anderson, Gordon, Alston, Comrie, Swanson, McCann, Kane, Scougall, O’Halloran, McMillan. The number of matches John Souttar, who could return to the starting line-up, has played for Hearts. St Johnstone’s indefatigable midfield four will make life difficult for the hosts and should stop this game from being a particularly attractive one for the casual observer. The difference will be made at each of the park. If Christophe Berra and his partner, be it Conor Shaughnessy, John Souttar or Clevid Dikamona, can stop St Johnstone’s dynamic and skilful front-pairing of Tony Watt and Matty Kennedy then Hearts should have enough to eke out a win at the other end. Hearts have lost three games at home through 11, already matching the total from 18 league games last term. St Johnstone, meanwhile, have won seven of their ten games away from McDiarmid Park so far in 2018/19, giving them the best record in the league. Craig Thomson is the man in the middle for this fixture, assisted by Frank Connor and Calum Spence. The fourth official is David Dickinson.